Its time for the Great Pie Games for the VeggieTales knights. All of the knights in the kingdom are in the tournament and at the end; Princess Petunia gets to choose the winner. Who will she choose? A lesson about putting others first. Its time for the Great Pie Games and Princess Petunia has to choose the champion of all knights. What makes the Duke of Scone so special? 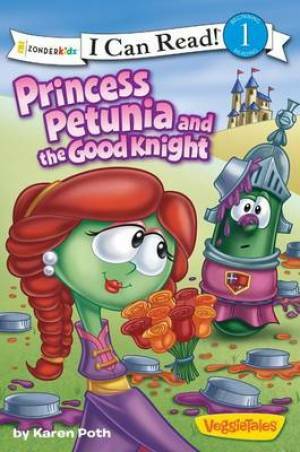 Princess Petunia And The Good Knight by Karen Poth was published by Zondervan in September 2012 and is our 8305th best seller. The ISBN for Princess Petunia And The Good Knight is 9780310732068. Be the first to review Princess Petunia And The Good Knight! Got a question? No problem! Just click here to ask us about Princess Petunia And The Good Knight.